The good news is choosing the good hosting company isn’t rocket science, it is a relatively simple process. HostGator Inc. is an old player in web hosting space. It was founded in 2002 by Brent Oxley. It is known for providing value-for-money plans and at a cheap rate. It currently has it’s HeadQuaters in Houston. HostGator is currently owned by EIG (Endurance International) Group. Hostgator is an expert at Shared Hosting. It offers three plans for shared hosting which are Hatchling Plan, Baby Plan, and Business Plan. HostGator is known for it’s shared hosting plans, and they are worth checking out. HostGator has a brilliant offer of 1 Penny a month hosting for the first month via using coupon code HG1PENNYCOUPON. BlueHost was founded in 2003 yr. by Matt Heaton in Provo, Utah, USA. BlueHost is also owned by EIG (Endurance International Group.) BlueHost is the hosting you want to buy as it’s officially recommended by WordPress.org. BlueHost’s expertise lies in the Shared Hosting category as well. BlueHost offers three plans – Basic Plan, Plus Plan and Prime Plan. Basic Plan is the most Basic Plan which offers to host for 1 Website with 50GB Storage and Unmetered Bandwith (With a minor restriction.) In the Plus Plan, you get to host Unlimited Websites, Unmetered Website Space (With a Minor Exception) and Unmetered Bandwith (With a Minor Exception.) It also offers unlimited email accounts and storage along with 1 SpamExperts Add-on for free. Also Checkout- Unlimited Website Hosting! One Notable Feature about BlueHost is that they run a custom stack, unlike many other hosting providers who providers who use an old stack. 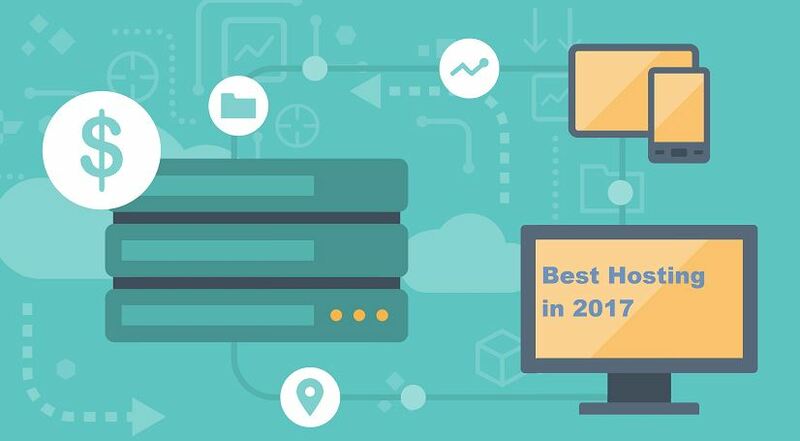 People have also said good things about BlueHost Support, and they also have an in-house team of Hosting Specialists ready to help you with any problem as and when you want. They’re available 24/7 365 days. DigitalOcean is the best hosting for all the geeks! DigitalOcean was founded by Ben Uretsky, Moisey Uretsky, Mitch Wainer, Jeff Carr, Alec Hartman. DigitalOcean is fairly recently established the company. It is used by well-known companies like RedHat and HP. DigitalOcean has no plans! It bills you on usage. They call a machine a “Droplet.” A droplet is a machine which hosts your files. DigitalOcean charges you on an “hourly” basis. The Plans star from $5. The Best Thing is that they deliver on 99.9% Uptime Policy thanks to their best-in-class-support. Note. Price is updated while publishing this article.